Good nutrition is the fuel that helps our little ones grow strong and healthy. 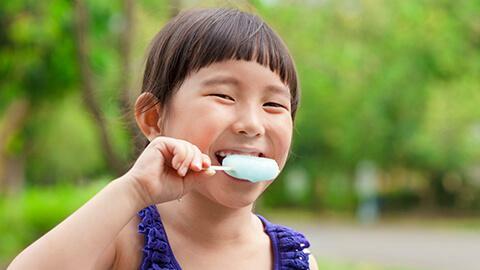 Here's how you can prepare healthier meals and choose healthier snacks for your child. Our little ones can be the pickiest eaters. But our job is to make sure our children get the nutrition they need during this period of rapid physical, mental and emotional growth, from infancy till around the age of six. 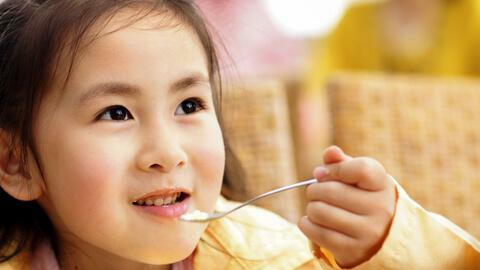 Toddlers, preschoolers and older children also require healthy, balanced meals and snacks as they grow because their energy output is higher than that of adults, says Dr. Vera Oh, a pediatrician at the Singapore Baby and Child Clinic with a special interest in Endocrinology and Growth. Taking time to plan and prepare meals for your child is an important part of ensuring your child eats healthily. You can control the amount of salt, oil, and sugar in your meals as well as measure food portions for your child. Make mealtimes a positive social time that the family can share as often as possible, says Wright. Let the food pyramid be your starting point of healthy meals for your child, says Dr. Oh. Sufficient energy from carbohydrates, vitamins, and minerals from fruit and vegetables, protein from meat, and soy products for cellular development are the fundamentals of a balanced meal. Including foods—such as cheese, soy, and milk—that are high in calcium is important for the development of bones, while healthy fat from fish or avocados is imperative for brain development. Another way to ensure your child eats a healthy meal is to emphasize the importance of breakfast. Research has shown that children who skip breakfast are likely to experience low blood sugar levels, resulting in restlessness and inability to concentrate in school. Lastly, look for ways to present your food that may help coax your children to eat food they don't like. 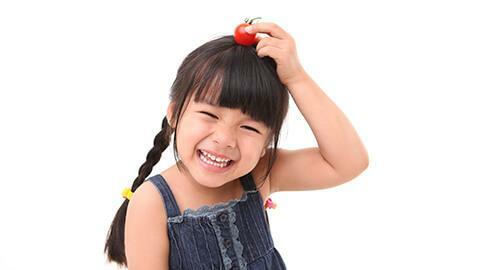 For example, try to "mask" healthy foods such as vegetables by mixing or mashing it into regular meals, advises Dr. Oh. Not all food are created equal. Getting kids to eat healthy is like getting into battle.